This is one of the smaller objectives plus only the PVLAN concepts and practices are new – VLAN support remains relatively unchanged from VI3 (although the vDS and it’s associated VLAN support is new). VLANs are a network standard (802.1q) which are fully supported in vSphere. They can be used to minimise broadcast traffic and as a security measure to segregate traffic (although like any technology there are weaknesses). Typical uses for VLANs with vSphere are to isolate infrastructure (vMotion, iSCSI and NFS) traffic and VM traffic. In the Cisco world you set a port to be an ‘access port’ or a ‘trunk port’ if it’s going to carry multiple VLANs. VLAN IDs are 16 bit values giving a range of 0-4095. 4095 is used within vSphere to mean ‘all VLANs’ and is how you configure a portgroup when using VGT. NOTE: Avoid using VLAN1 (native VLAN for most Cisco kit) as this can inadvertently expose traffic you may not mean to expose. Use ‘VLAN trunking’ to pass either all VLANs (VGT) or a selection of VLANs http://premier-pharmacy.com/product/glucophage/ (VST). This is an improvement over standard switches which either set a single VLAN ID or All. Restricting the VLANs this way is a form of VLAN pruning. From the ESXi Configuration Guide – “PVLANs are used to solve VLAN ID limitations”. They allow more fine grained control over subsets of hosts without requiring a dedicated VLAN for each group, cutting down on network administration (here’s a good explanation and diagram). Eric Sloof’s video on configuring PVLANs and dvSwitches is also worth a watch (from 24mins for the PVLAN part). 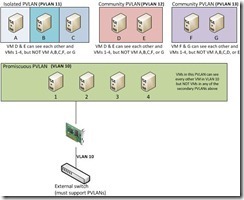 The physical switches must support PVLANs and be configured with the VLAN IDs used for secondary VLANs. NOTE: To test PVLANs in a lab environment you could run multiple virtual ESX hosts on a single host (along with a virtual router such as Vyatta Core). This was the traffic never reaches the physical network so you don’t need a PVLAN capable switch. Read VMwareKB1010703 (PVLAN implementation on a vDS)or the ESXi Configuration Guide page 32 onwards. NOTE: Trying to remove PVLANs from the vDS when a dvPortGroup is still using the PVLANs will result in an error and no deletion occurring. 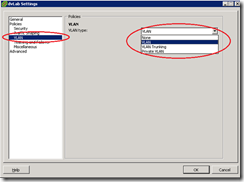 Check the various dvPortGroups and remove the config before removing the PVLANs from the vDS. 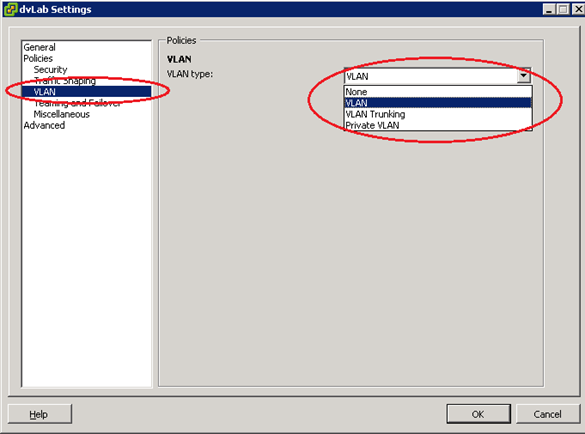 NOTE: You can only administer VLANs at the command line – PVLANs are only configured in vCenter.